Mozart Effect, Schmozart Effect: Science Misinterpreted In 1993, a small study found that listening to Mozart briefly improved students' ability to perform a very specific spatial reasoning task. A cultural craze ensued, much to the original researcher's surprise. 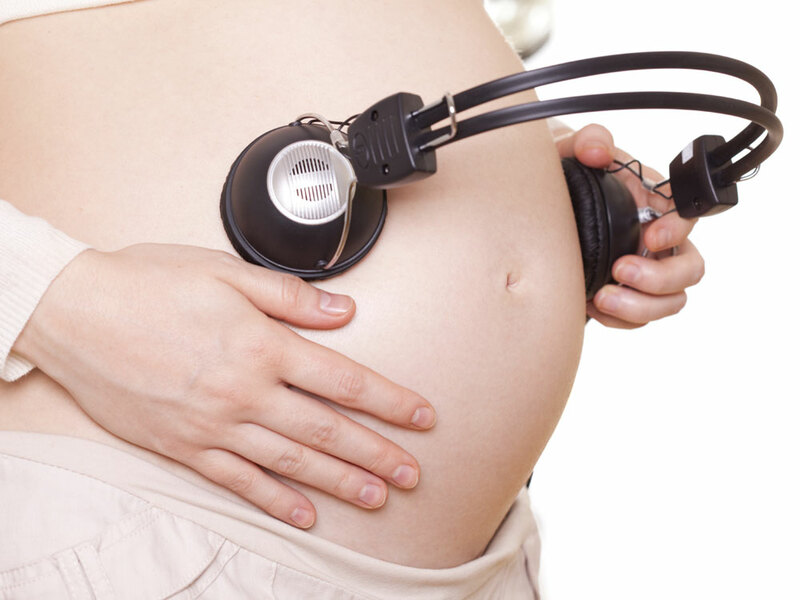 Don't be so sure that playing music to your baby will make him or her smarter. The newest issue of the journal Intelligence has the largest review ever of research on the so-called Mozart Effect, the popular idea that listening to classical music can enhance the intelligence of people in general and babies in particular. The review is titled "Mozart Effect, Schmozart Effect," which should give you some idea of its conclusion: there ain't no such thing. But even if listening to Beethoven won't make us smarter, the history of how the Mozart Effect ultimately became fashionable does have something to teach us. It's a story about careful science, less careful journalism, and of course, death threats. In the spring of 1993 a psychologist named Francis Rauscher played 10 minutes of a Mozart Piano Sonata to 36 college students, and after the excerpt, gave the students a test of spatial reasoning. Rauscher also asked the students to take a spatial reasoning test after listening to 10 minutes of silence, and, after listening to 10 minutes of a person with a monotone speaking voice. And Rauscher says, the results of this experiment seemed pretty clear. "What we found was that the students who had listened to the Mozart Sonata scored significantly higher on the spatial temporal task." Now Rauscher is quick to emphasize that the test she gave measured only a certain kind of spatial intelligence. "It's very important to note that we did not find effects for general intelligence," Rauscher says, "just for this one aspect of intelligence. It's a small gain and it doesn't last very long." In fact the cognitive gains produced by the so-called "Mozart Effect" lasted only about 10 to 15 minutes. And this is what Rauscher wrote in the single page paper she subsequently published in the journal Nature. She reported that listening to Mozart's music improved spatial reasoning for about 10 minutes. And though Rauscher personally thought the finding was neat, she never really expected other people to be interested. The first call came from Associated Press before Rauscher had even realized that her paper was due to be published. Once the Associated Press printed its story the Mozart Effect was everywhere. "I mean we were on the nightly news with Tom Brokaw. We had people coming to our house for live television," Rauscher says. "I had to hire someone to manage all the calls I had coming in." The headlines in the papers were less subtle than her findings: "Mozart makes you smart" was the general idea. And for some reason, Rauscher says, this notion completely gripped the imagination of the American public. "I mean we walked into Virgin Records one day and there was a whole kiosk of Mozart music and quotations from our paper," Rauscher says. At first, all the attention was fun, but then things started to go south. For example, Rauscher says she got misquoted by a TV program which aired a segment that made her seem like she believed rock music wasn't cognitively good. "When that happened I started getting phone calls," Rauscher says. "Literally death threats from people that were so offended that I would say that rock music was bad for the brain ... which is not what I had said at all. So I had to get an unlisted number. It was crazy." But worse, says Rauscher, was that her very modest finding started to be wildly distorted. "Generalizing these results to children is one of the first things that went wrong. Somehow or another the myth started exploding that children that listen to classical music from a young age will do better on the SAT, they'll score better on intelligence tests in general, and so forth." In fact after hearing about the research, in 1998, Georgia's then Gov. Zell Miller decided to distribute free classical music CDs to every baby born in the state of Georgia. Tennessee followed suit. Eventually a small cottage industry of Mozart CDs for toddlers and babies sprung up. Why is it that all of this came from such a modest study? It's probably a couple of things, Rauscher says. Americans believe in self-improvement, but also are fond of quick fixes. And as Rauscher points out, parents care desperately about their children. "I mean they want to do everything they possibly can for their children, and if there's a possibility that this might help in some way and give their child an advantage when they get to school, then that is what they are going to do." Rauscher still stands by her original finding, but says subsequent research has shown that it's not really about Mozart. Any music that you find engaging will do the same thing, because compared to something like sitting in silence, the brain finds it stimulating. "The key to it is that you have to enjoy the music," Rauscher says. "If you hate Mozart you're not going to find a Mozart Effect. If you love Pearl Jam, you're going to find a Pearl Jam effect." There's something to contemplate: the Christina Aguilera Effect. Sure to be a hit with the toddler set.